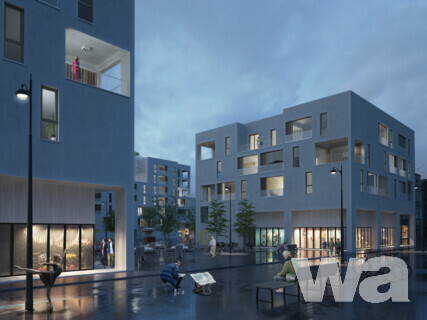 Die Entwicklung von architektonischen Konzepten für Standard-Wohngebäude in Übereinstimmung mit den integrierten Leitlinien für die Stadtentwicklung in Russland. Das Dokument wird derzeit von DOM.RF zusammen mit Strelka KB und mit der Unterstützung des Ministeriums für Bauwirtschaft, Wohnungswesen und Versorgungswirtschaft entwickelt. Die Teilnehmer entwickelten Konzeptentwürfe für drei Wohngebäude gemäß der im Brief vorgegebenen Typologie. Detaillösungen für die Planung von Grundrissen aller Wohnungstypen werden in zwei Größenvarianten benötigt: mit einer Luftsequenz von 25 und 30 qm. The development of architectural concepts for standard residential buildings in accordance with the Integrated Guidelines for Urban Development in Russia. The document is currently being developed by DOM.RF together with Strelka KB with the support of the Russian Ministry of Construction Industry, Housing and Utilities Sector. 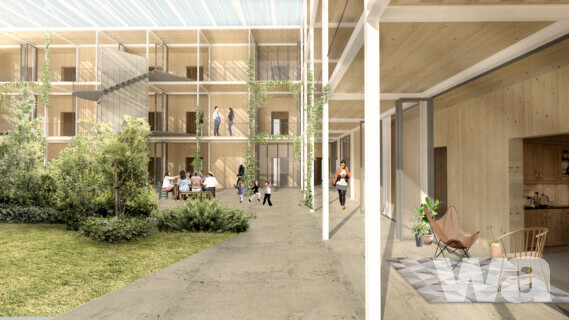 Participants have developed concept designs of three residential buildings in accordance with the typology provided in the Brief. Detailed solutions for planning layouts of all apartment types are required in two sizing options: with aerial sequence of 25 and 30 sq. 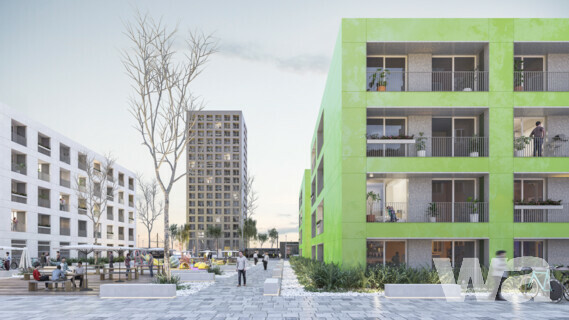 m.
The purpose of the Competition is to expand the typologies of apartment layouts of medium and large size, which comply with modern requirements for providing for the comfort and security of the living environment, and which will be completed with the use of advanced construction technologies. Competition participants have had the task of creating optimal planning solutions that will be easily adapted to the needs of various users groups and climate conditions in Russia, as well as to the changes introduced during the project implementation phase. The Competition was by open call and held in two stages. Russian and international architects are invited to participate in the Competition. Participants submitted the application form on the Competition website. Participation expenses were not covered at this stage. Registration of participants as legal entities or individual entrepreneurs was not required for the First Stage of the Competition. 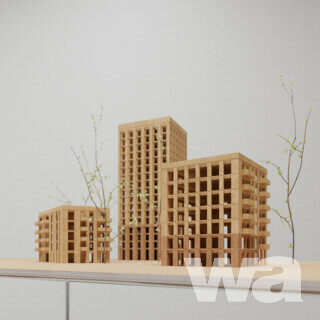 Competition provided equal opportunity for participation by both experienced and young architects. To participate in the Second Stage of the Competition finalists had to have the status of legal entities or foreign legal entities in consortium with a Russian company. Each of the 20 finalists of the First Stage received a reward of 1 m roubles (about €14,600). At the end of the Second Stage the Prize Fund was allocated the following way: up to five First Place Winners received 2 m roubles each (about €29,200), up to five Second Place Winners received 1.5 m roubles each (about €21,900), up to ten Third Place Winners received 1m Russian roubles each (about €14,600).